The ceramic artist, George Muscat has donated one of his outstanding works of art entitled ‘Memories of Blue’ to Middlesea Group, following the company’s recent sponsorship of his exhibition “Changing Metaphors in Clay.” The exhibition was held at Middlesea House in Floriana between March 27 and April 9, 2009. Simon Anastasi received the work of art on behalf of Middlesea Insurance plc. A percentage of the proceedings raised during the exhibition was donated to Caritas. 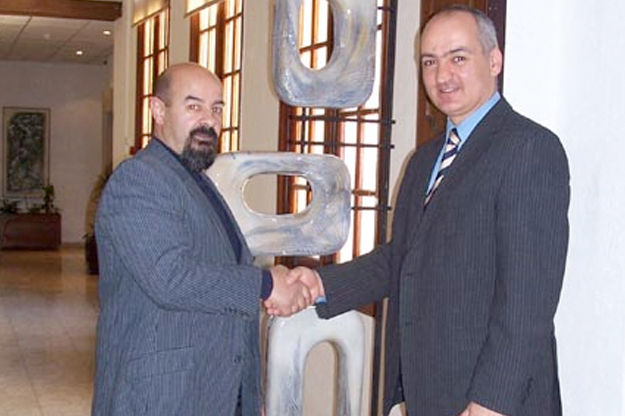 Art critic Louis Lagana has described George Muscat as “one of the most talented ceramic-sculptors in Malta.” This donation symbolises Middlesea Group’s long standing support for charitable causes and for artistic expression within the local community.